We use these clips as my on always loses his dummy. The clip itself is a great design and works well keeping the dummy on however I find the clip just comes off quite easily and therefore doesn’t do its job well. 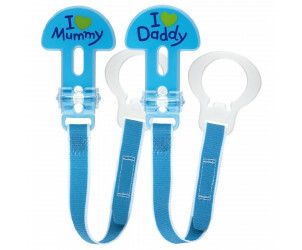 I love the design and the ‘I love mummy’/‘I love daddy’ wording in the clips. Using these do help keep dummies from falling on the floor however the clips are very big and not as strong as other clips. In addition to this they tend to come off easily, which can be annoying. On average these have saved me time as there has been more times the clips saves the dummy, but on that occasion they don’t... it’s annoying! Not really worth it they broke after using them a handful of times can only be used with certain dummies and can be tricky to use. I wish I'd brought these clips sooner as my son kept losing his dummies. Great for attaching to Babies clothing. My only complaints about these is that the latch sometimes comes undone and it's quite bulky. It digs into his neck If I attached it at the coller. Don’t like these at all so don’t even use them now. 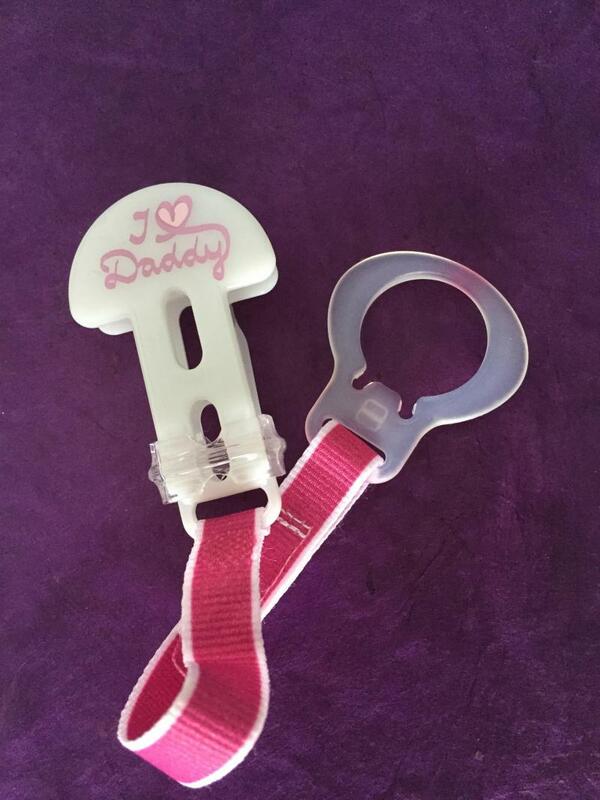 The clip into the dummy tight but the bit that goes on to clothes loosens up and comes off or gets in the way . These weren’t cheap either. Read on other reviews they can be used with non MAM dummy’s, didn’t know that till I read the other reviews. Positives of the design - can use Velcro for non mam dummies, comes with a mam ring adapter to fit over the mam dummies with no handle. Very simple to use. 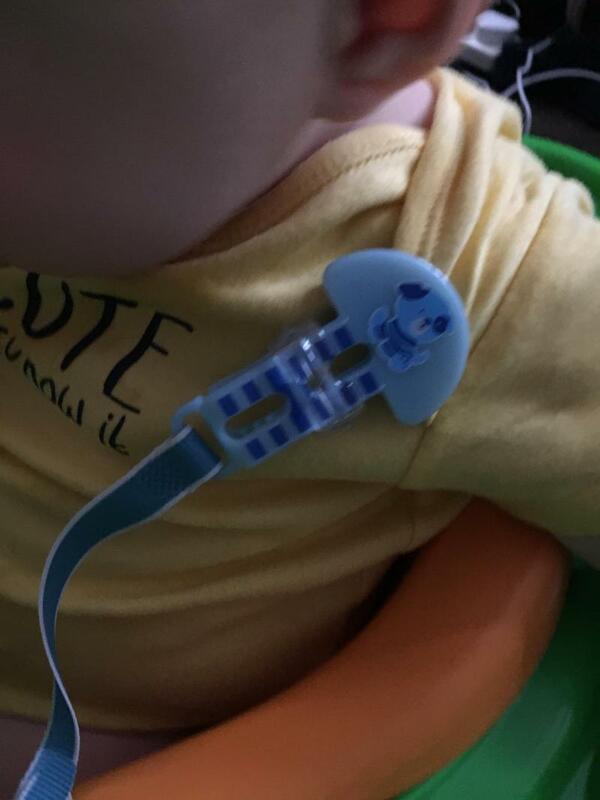 We have found that even when clipped on a determined baby can pull the clips off. So that could be better. Bought on offer for £1 for 2 clips so very reasonable. And teethers and up until now they could do no wrong but unfortunately we just don’t get on with this clip. The design is lovely and there’s loads of different cute pictures to choose from but the clip itself is just far too big. 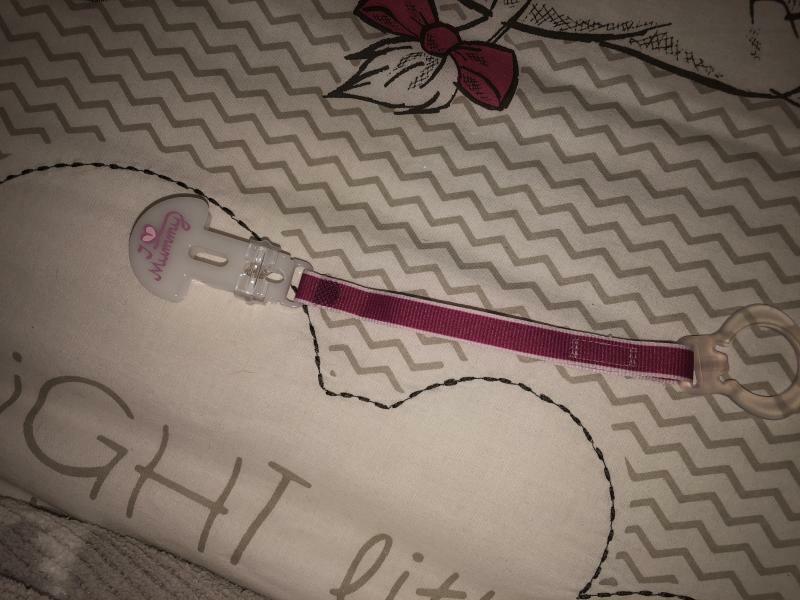 It’s very difficult to clip this to babies clothes without the clip sticking out quite a bit. The string is not very long either so the clip tends to have to go near the shoulders and often digs in to little ones face. I also think at £5+ for one clip it’s quite expensive. It’s such a shame because I would normally recommend all MAM products to everybody. 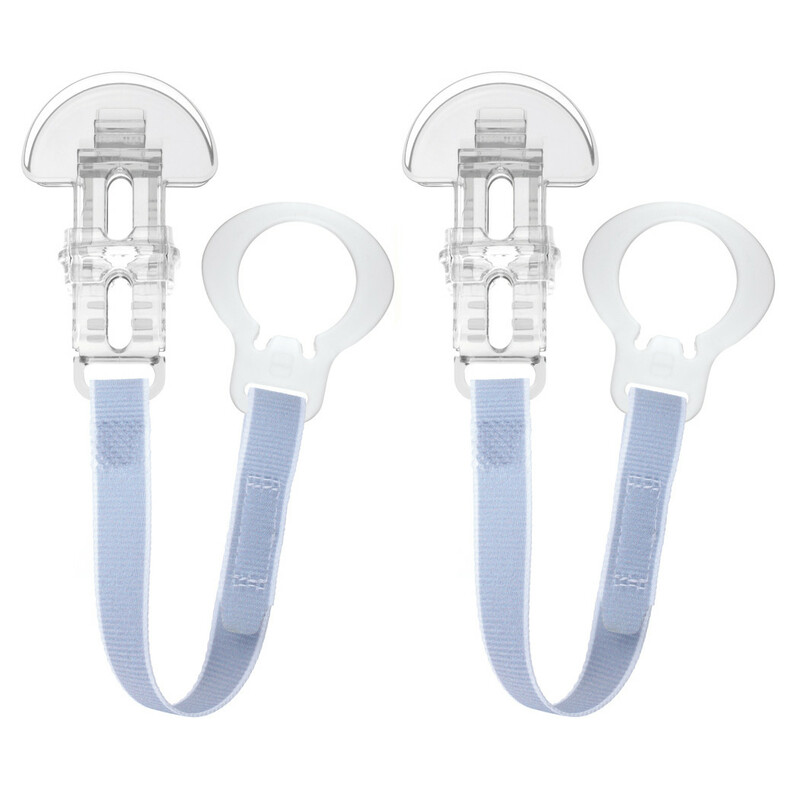 Thanks to the extra light weight MAM Clip, pacifiers stay clean and within reach. The clip is designed with a sliding mechanism for one handed operation and is quick and easy thanks its wide opening. The ribbon is a baby safe length, soft, washable and durable. 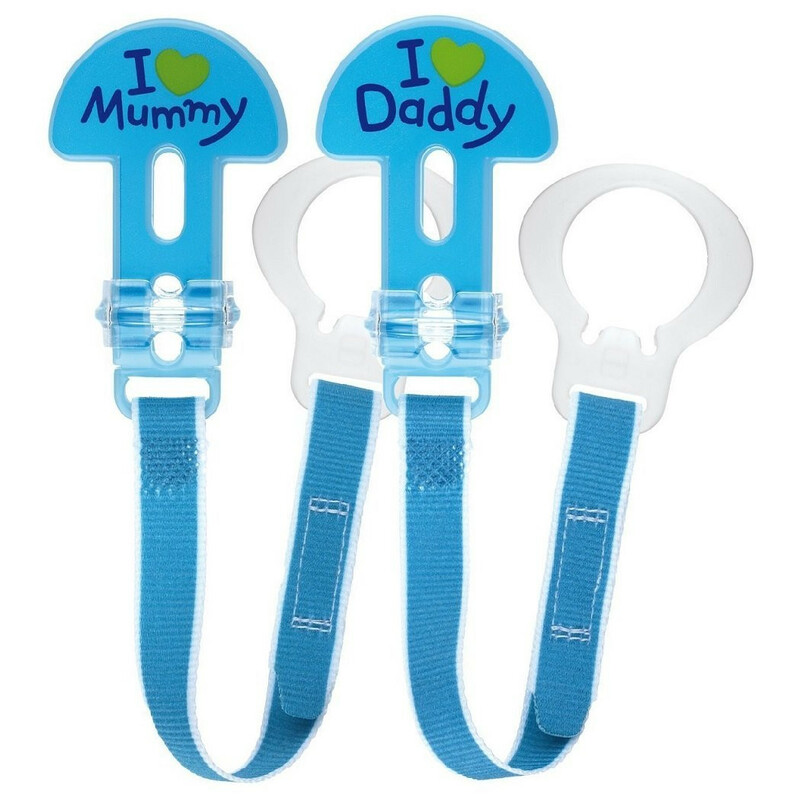 The velcro fastener means the clip is compatible with ring soothers, teethers and many other accessories.